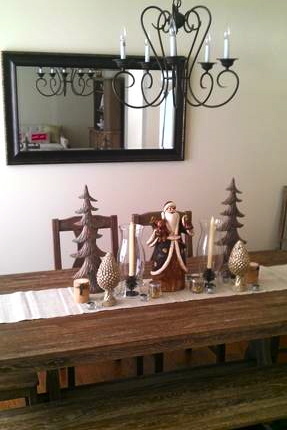 I had several people comment on my Christmas tablescape, so I figured that I'd devote an entire post to breaking it down and explaining where I bought everything. 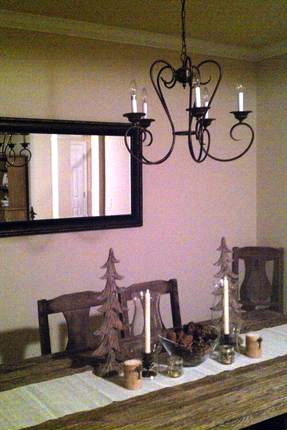 I worked really hard on piecing this together and had a concrete vision from the start - rustic, simple, clean and color-less. 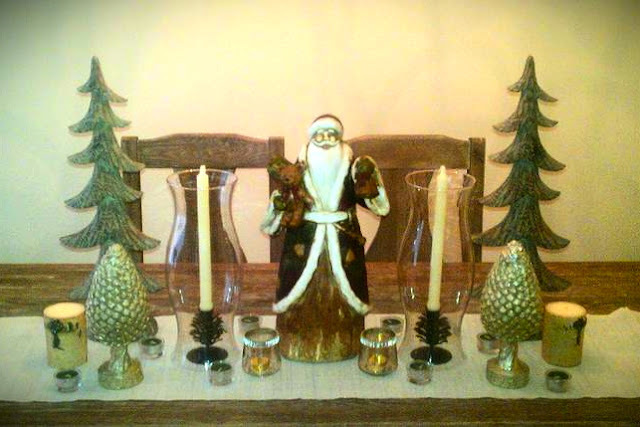 And now that Christmas has passed, I have removed Santa Claus and excess holiday pieces and kept my "winter" tablescape simple. So simple & cute. Love it! This just reminded me how much I LOVE Hobby Lobby... and we're about to move 3 1/2 hours away from it :( Sad day! love it!!! simple & classy! It really fits you- classy and elegant! Love it! Thanks for sharing all the details!